Visit the breathtaking Black Forest region and the Rhine Falls  Europes largest waterfall  in one day on a tour from Zurich! 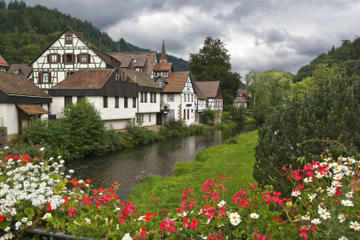 The full-day trip starts with a visit to Titisee-Neustadt, a pretty town in the heart of Germany’s Black Forest. Admire its star attraction, Lake Titisee, and visit the locally renowned Drubb watchmaker to see traditional German cuckoo clocks being made. Before returning to Zurich, stop at Rhine Falls to watch the waters of the Rhine River crashing down a 75-foot (23-meter) drop.